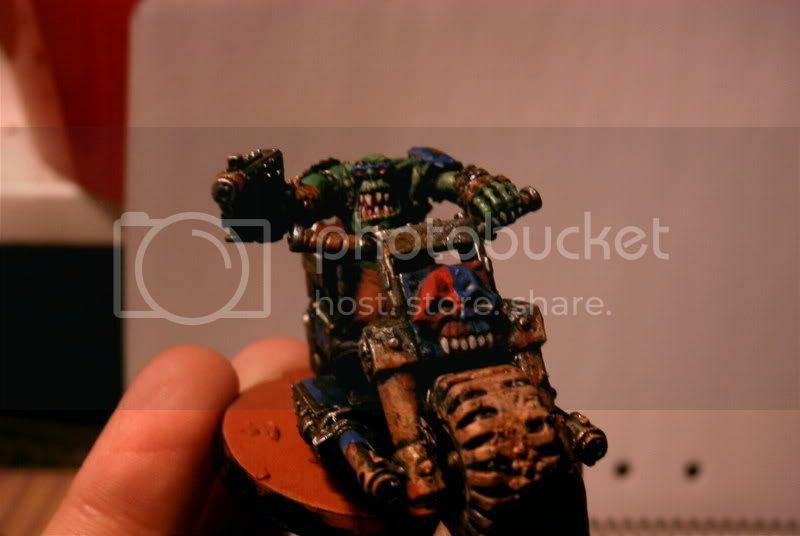 It needs basing, and the lighting is weird, but apart from that how do you like him? It&#39;s a bit hard to see everything, quite dark actually. But you have indeed made some nice work there, the dirt looks very realistic and the pose is really nice. 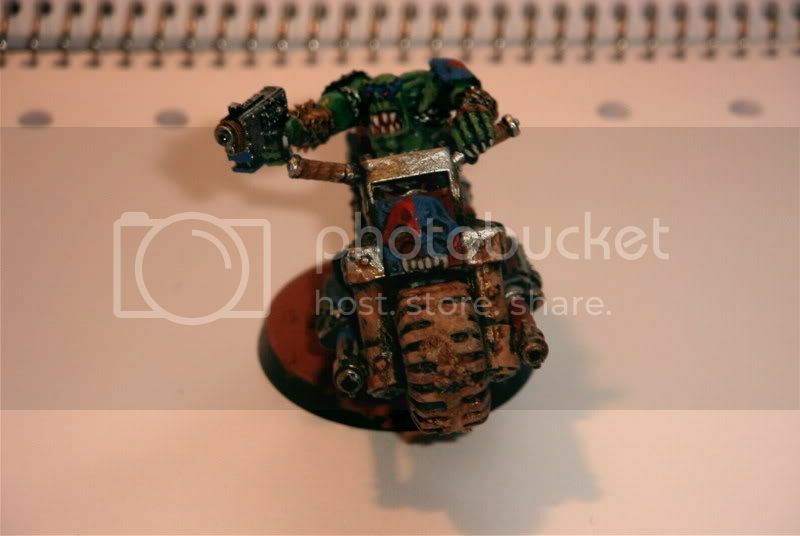 Glad that you used another Ork body than the biker (We all know how it looks...). 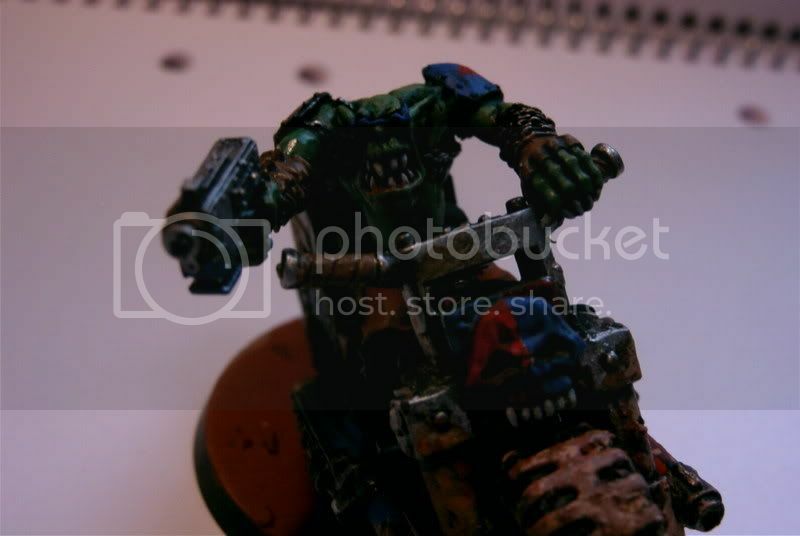 The driver is an old Gorkamorka figure, right? And yes, i don&#39;t recognise the clan insignia... Custom? Looks great, good use of the vampire counts shield design! Awsome Job Stooga! The dirt on the wheel&#39;s are awsome!!! Let&#39;s ride! 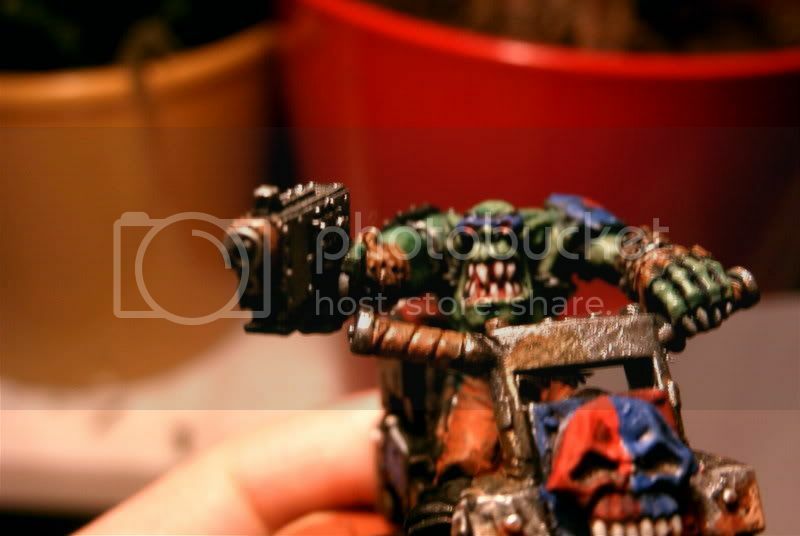 WAAAAAAAGGGGHH! *gasp! 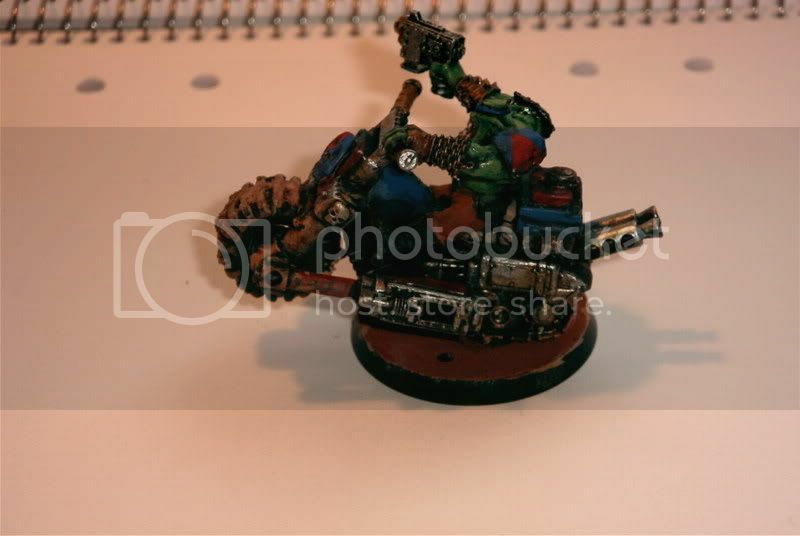 * Wait, I&#39;m a Tau player, I can&#39;t stoop to such a level of Orkishness! It looks awesome all the same, though. THe colours seem to be good. Nice job. I like the color scheme. Cool skull.